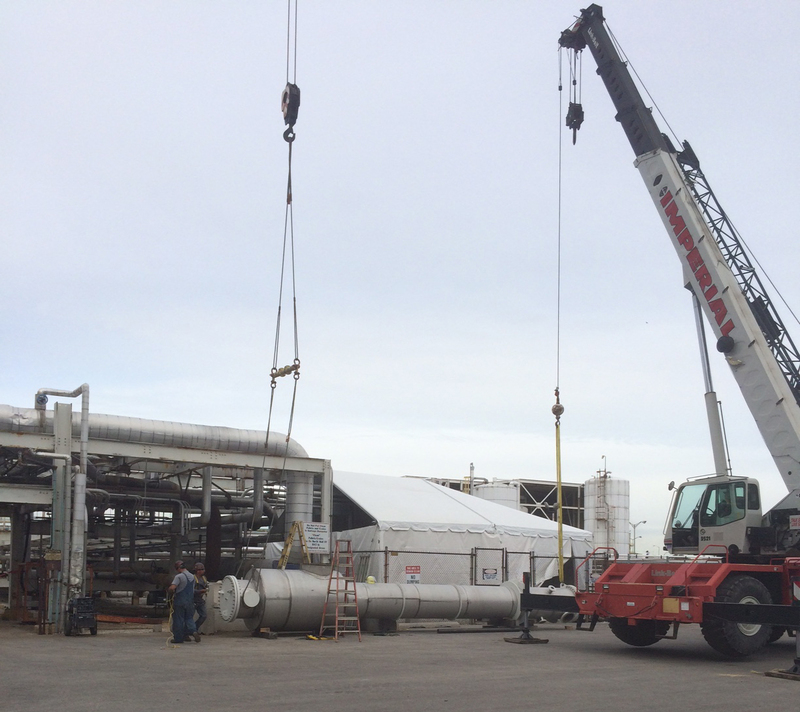 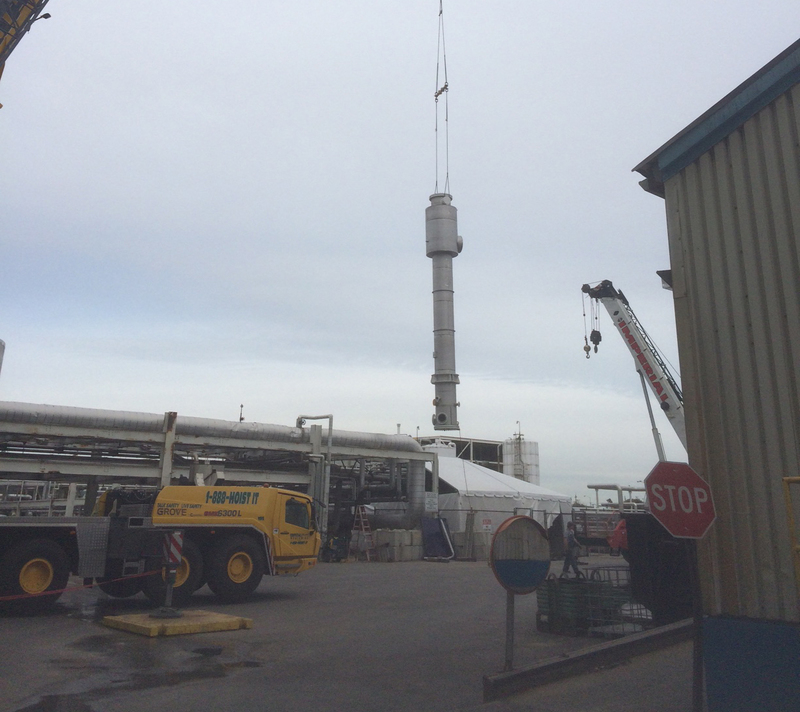 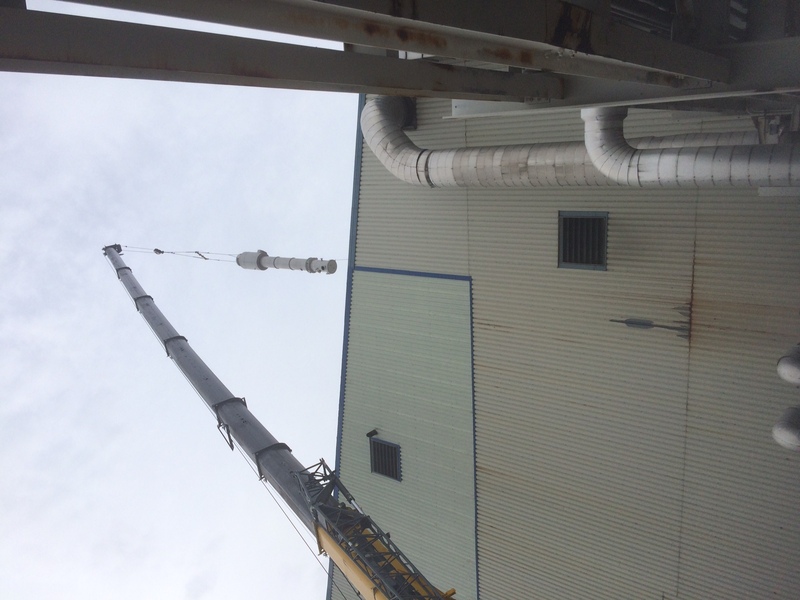 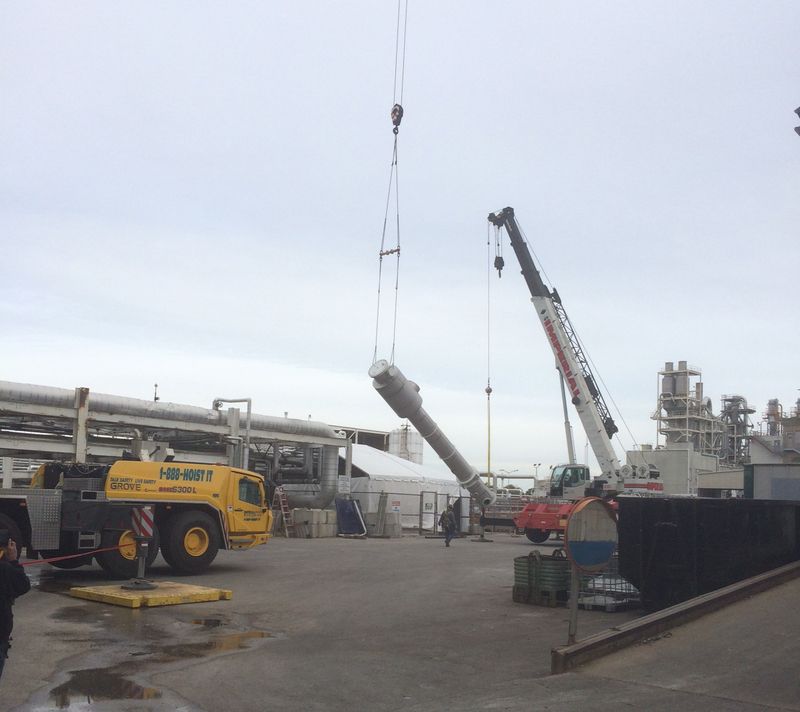 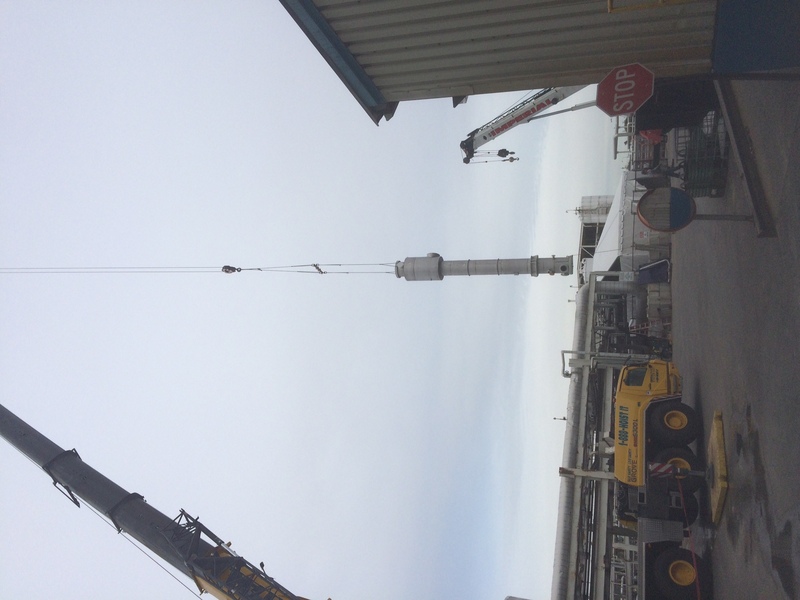 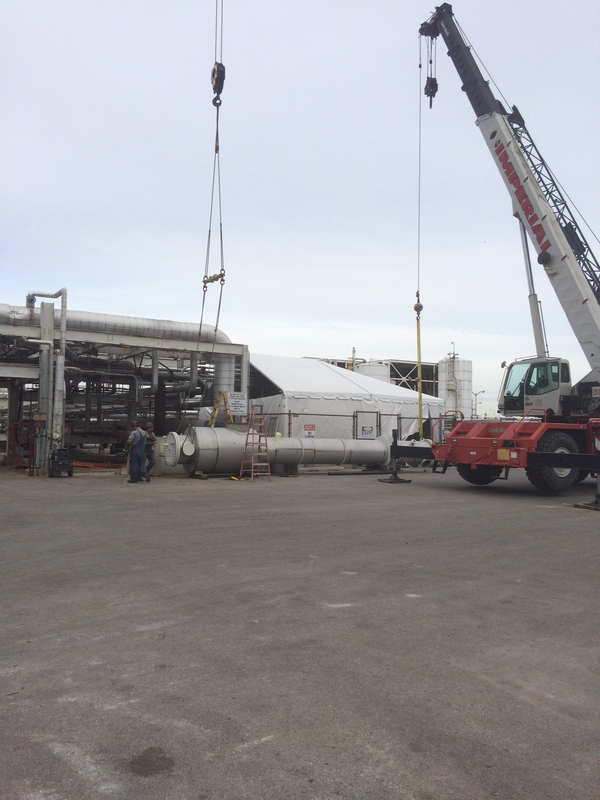 This project involved the removal of the existing 40-foot-long Surface Condenser and the installation of a New 40-foot-long Surface Condenser complete with structural steel and piping modifications. 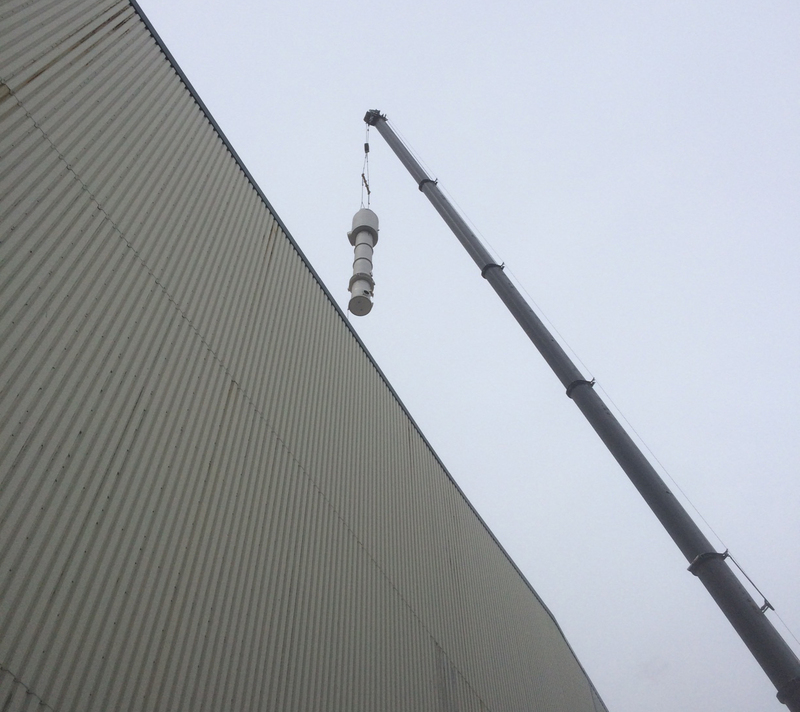 This work took place over a running facility, thru a small opening in roof, with a strict schedule to assure no impacts to production. 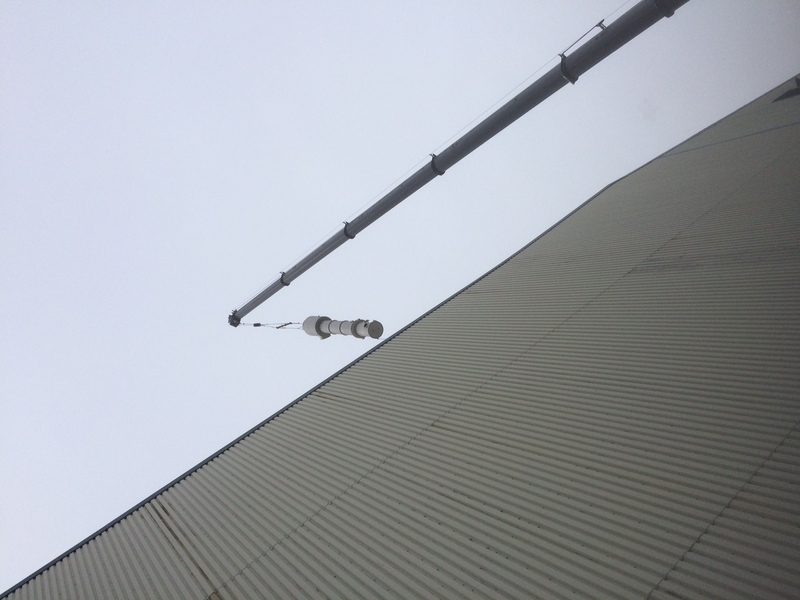 The condenser was and is suspended form an elevation 80 feet from ground level. 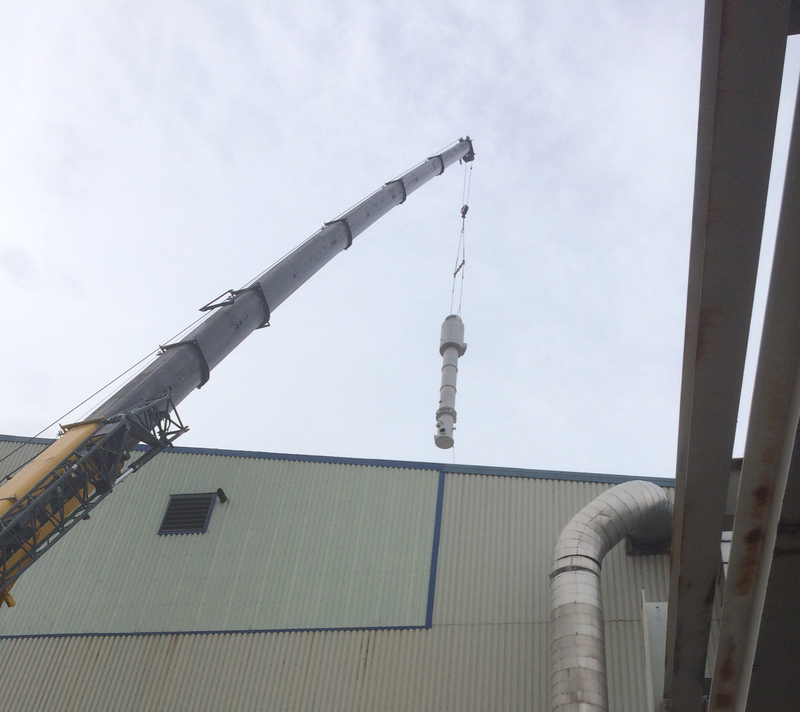 Modifications had to happen to a range of piping sizes 32" to 1". 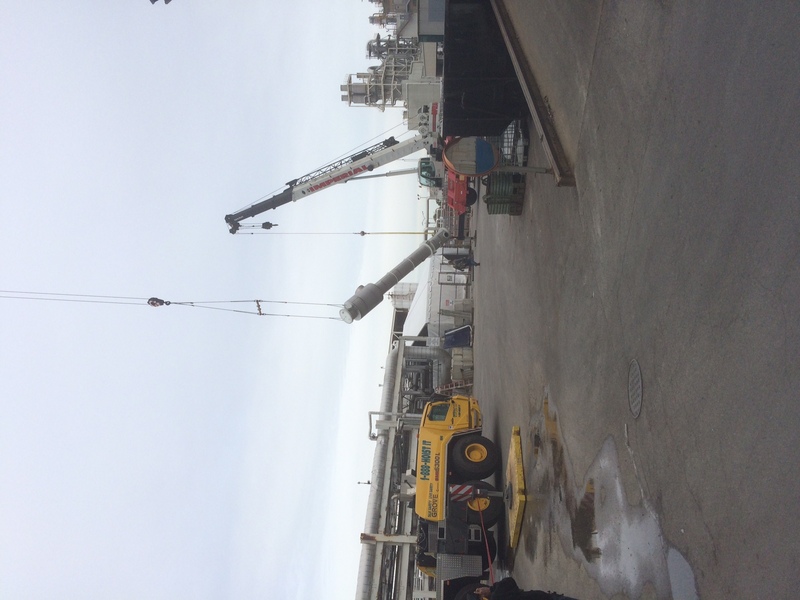 The project was made successful from much front-end coordination, preplanning, and maximizing as much pre-work that could be executed to ensure meeting schedule.